Why don't John Ryan use HD (High Density) springs in their mattresses? Back in October I contacted you with my details and based on that Lee recommended the Artisan 1500. I have still not made a decision but have an additional question. Some manufacturers use High Density pocket springs arranged in layers above and below the main pocket springs. Why do they do that and why don’t you? Also my budget has now increased so I am looking at your Tailored 2000, Naturals and Bespoke 004 ranges. Is it just a matter of the more you spend the better it gets or are could there be good reason for NOT buying the most expensive? Thank you for your explanation about the HD springs and the ever upward march toward higher spring counts! Your answer however begs a couple of further questions. The idea of utilizing the space not used by the HD springs with additional comfort layers only works if two mattresses being compared are the same height and the pocket springs are the same height. I can’t see anywhere on your site where you give the height of your mattresses and are all pocket springs the same height? My wife and I sleep rather hot are concerned that the Naturals range with the Poly/Cotton layer might not be right for us. On the other hand my wife suffers from allergies and is worried about the use of horsehair in your Bespoke 004 range. We would be interested on your comments on these two points. Apologies for the ongoing questions. Great to hear from you again and you raise a valid question. Hopefully we can help explain what a HD / High density pocket spring is and why you actually want to avoid them. HD (High Density) Pocket Springs or Micro springs are small springs that many bed manufacturers use to up their spring count. You can fit in thousands of these in a mattress so you can sell a model as having 6000, 8000 or 10,000 springs. Quite frankly you should never need this amount of springs. Micro springs or HD springs where created to allow additional ‘support layers’ to be used in mattresses. There’s only so much technology that you can craft into a spring, such as our Vanadium coated calico pocket springs which are more resistent to rust and highly responsive. Given that there’s only so much you can do to advance springs, manufacturers have started competing for the highest spring counts. Now HD springs are useful for things like base pads (see our Legacy – even though we use a calico spring in there instead as they are higher quality) or deep toppers. In reality, there are only a few legitimate uses for them. They compress really quickly as they are only about an inch in depth. So when using them as a support layer you need layer after layer of them to get any meaningful support. This means that you’re also losing valuable space in the mattress where natural fibres or other upholstery layers could be used. You can see an image of an HD spring below compared to a Vanadium Calico encase Pocket Spring. There is no real comparison as the HD spring is coated in a spun bond synthetic cover then glued together and about a 3rd of the size. The Calico spring is far more breathable and are stitched together without the need for synthetics. HD springs also have the unfortunate implication of increasing the amount of wire and metal in your bed. 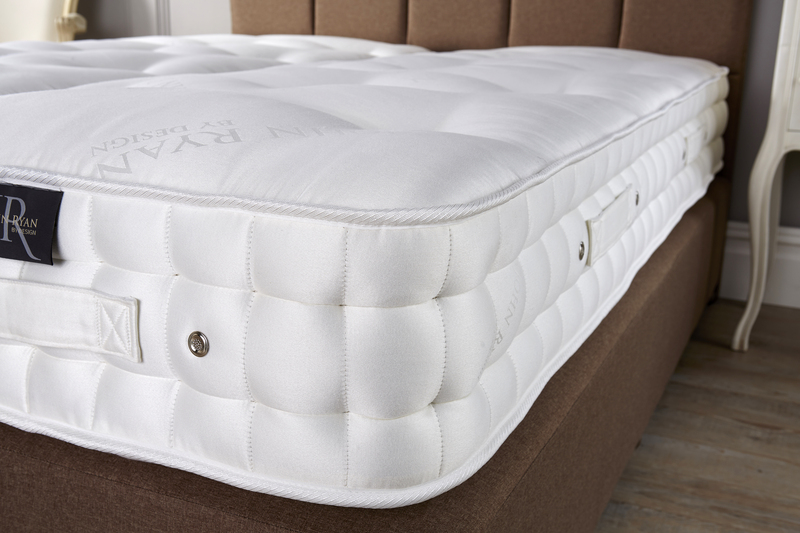 A quality Calico Pocket Spring will provide all the necessary support and progression for sleepers allowing them to turn and the mattress to respond to them. By reducing the size of the springs manufacturers have overengineered the bed and you then require even more springs to counteract the compression of these. It also means there’s great amounts of wire taking up valuable space compared to breathable fibres. You’re far better off spending your money on increased natural fillings rather than synthetic spun bond HD pocket springs. In terms of the three models you ‘ve mentioned, the Artisan Tailored Pocket 2000, the Artisan Naturals and the Artisan Bespoke 004; the price increases relates to the amount of Natural Fibres and the guarantee duration on that model. The Artisan Naturals is our best seller and the Bespoke 004 takes the best bits of the Artisan Naturals but increases the Natural fibre content to 100%. So yes the more you spend the higher the quality, though we would argue all of our models offer incredible value for money when compared to other competitors! Please let us know if you need any more help in choosing between the three models you’ve selected. If we can be of any more help drop us a line on 0161 437 4419 or an email on info@johnryanbydesign.co.uk. Thanks for getting in touch again and there’s no need to apologise ask away! We love demystifying the mattress jargon, it’s what gets us out of bed in the morning. You’re right in that if you’re comparing mattresses you need to know the spring details. The most important part is the spring gauge which is given as a measure usually from 1.2-1.9. We have a handy table on that on our Pocket Spring article here that explains all about them. Each manufacturer will have their own springs, usually imported. Most of which won’t give you the diameter just Soft, Medium or Firm. We, however, make our own and tell you the diameter and width. We list these on each of the products in our online shop. Our Calico pocket springs are roughly 6″ from top to bottom and these are stitched into calico breathable pockets. You can see them being hand stitched on the ‘tying table’ on this video as well. All of our Artisan mattresses are constructed by hand this way. Unlike HD springs being ‘glued’ together. 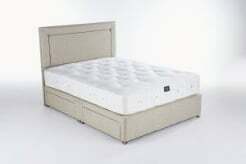 The height of mattresses varies as well with the lowest depth usually around 15cm for a cheap entry level mattress going all the way to 35cm in some cases for a Luxury High-end Model. Our Artisan models are all around 27-30cm deep. You can see all the depths, weights and heights here Andrew. In terms of upholstery, the depth can be misleading as once it’s tufted then this depth will compress. GSM is a far better example as this gives you the weight of each layer before tufting and allows you to compare. Spring Gauge, number of springs (remembering that over 2000 must be multiple layers) and spring type ie Calico vs Synthetic spun bond. The GSM of each layer of filling. I hope that helps and if you have any more questions please feel free to get back in touch.